Grýla I, II, III- the Scandinavian ‘child eating monster’ often used in cautionary tales for children on Christmas and Easter. Marra - a creature in disguise as a beautiful woman who at night sits on people, tormenting them and causing nightmares - hence the word. Occurring in cultures all over the world, the mare often appears in the form of a woman flying in the air. Kópakonan - a seal woman who comes to land once a year to strip its seal skin and dance on the shores. 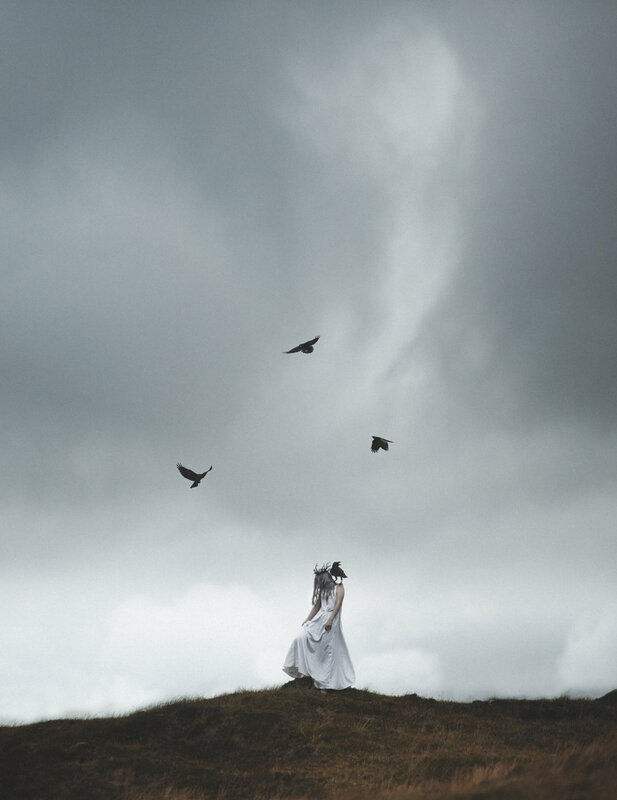 Faroese folklore tells of a kópakonan who was captured and made to be a fisherman’s wife. After her return to the sea, she vowed revenge on the men of Kalsoy until there was enough dead to link arms around the island. Kellingin - a witch from Iceland who alongside a giant, travelled to the Faroe Islands and became envious. The pair attempted to rope the islands together to bring them home, but they were immovable despite trying throughout the night. When the sun rose, they turned into stone and can now be seen as sea stacks on the northern coast of Eysturoy. Niðagrísur - the ghosts of a newborn who died before they could be christened and given a name.